With such a positive mindset, Blue Orange Games have gone about creating entertaining games that provide hours of fun and a chance to unwind - because computer games just don't have the same old-fashioned feel! If your child has an appetite for memory and strategy games, then Gobblet Gobblers is sure to feed their minds! 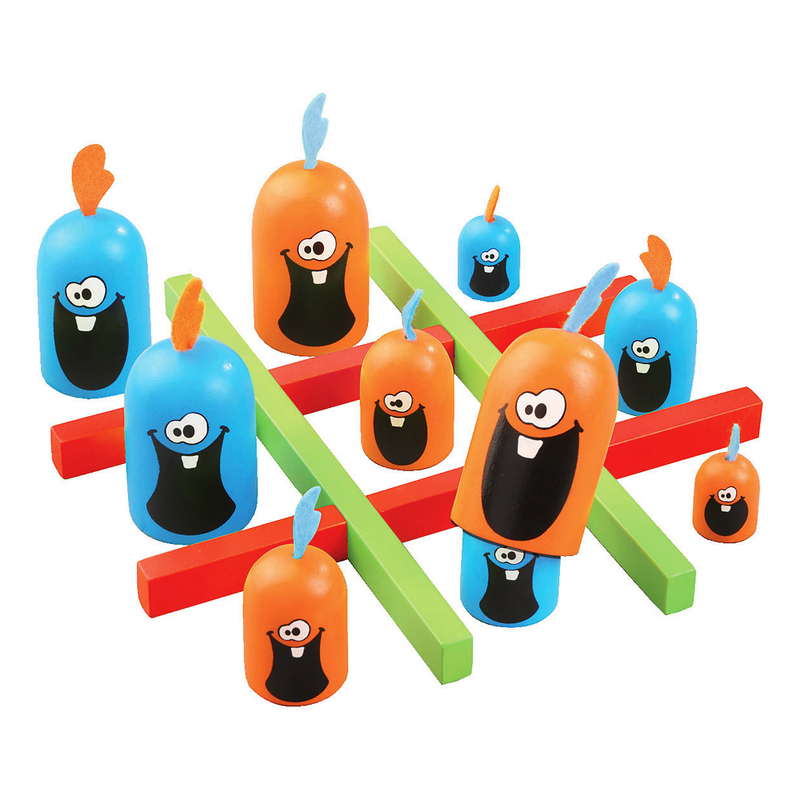 It's just like Tic-Tac-Toe - expect that Gobblet Gobblers uses wooden characters in various sizes that slide over another player's piece, essentially "gobbling up" the opponent! On your turn you can snack on your opponent and then move your pieces around the board. The first player to line up three Gobblers wins, but it's not as easy as it looks! Like Tic-Tac-Toe, try to line up three of your pieces in a row - but remember, they can be "gobbled up" by your opponent during their next turn! A game of memory and strategy. First to three pieces in a row wins! 12 Wooden Gobblers (of various sizes).